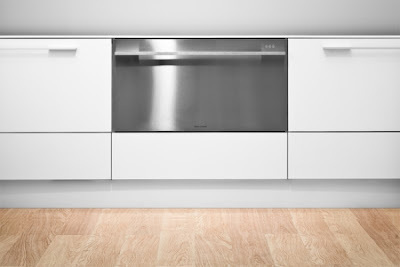 New Zealand-based Fisher & Paykel released some new kitchen appliances recently and they have some interesting innovations. First out of the gate is this dish drawer. 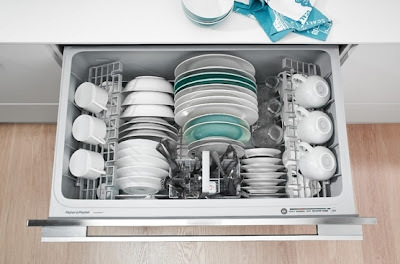 Fisher & Paykel developed the dish drawer dishwasher, but this one's pretty unique in that it's 36-inches wide and deep enough to accommodate a 12 3/4" dinner plate. Having access to a 36" single-drawer dishwasher is bound to add a lot of flexibility to kitchen designs from this point forward. They haven't stopped with dish drawers. Fisher & Paykel has four new refrigerator models this year too. All four are counter-depth, 36" wide and less than 72" tall. Those dimensions ought to make retrofits a bit easier. 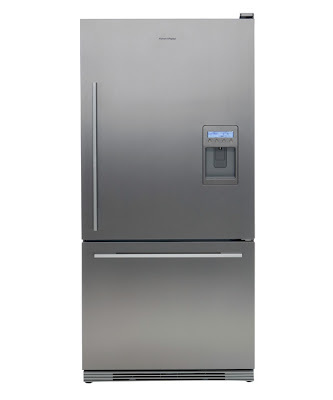 All four models are Energy Star rated and feature Fisher & Paykel's Active Smart™ technology. 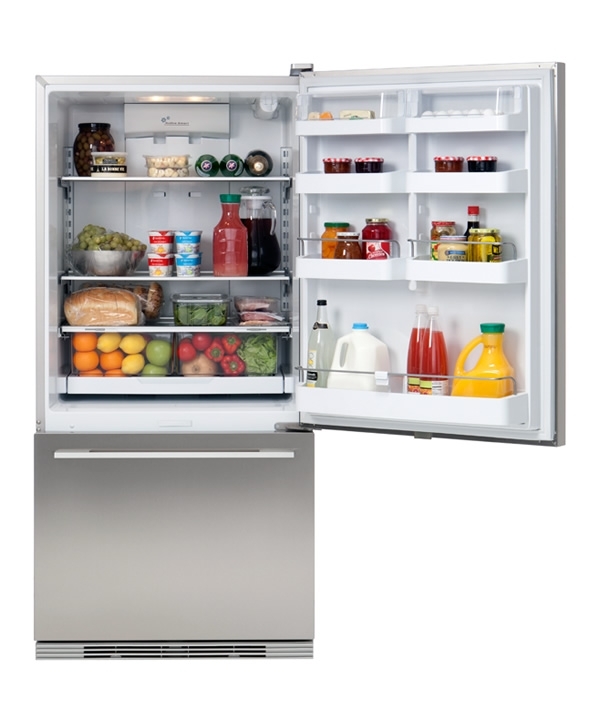 Active Smart™ uses two separate fans to circulate air inside of the appliance. 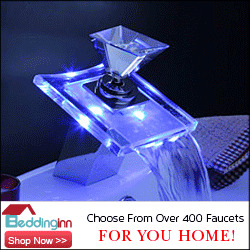 This allows for faster cooling and more constant temperatures. 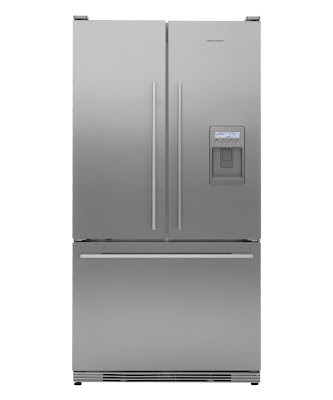 The first two new refrigerators are counter-depth, bottom-mount French door models. They're available with or without water and ice, and both versions have door shelves deep enough to accommodate gallon bottles and jugs. 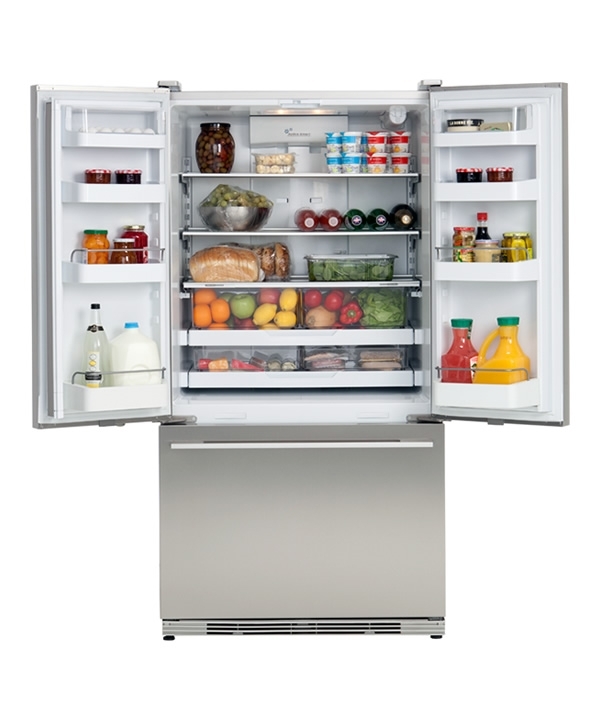 The third and fourth new models are are counter-depth, bottom-mount single door models. The difference between the two is the presence or absence of water and ice. Just as is the case with their French door cousins, the single door models have door shelves deep enough to accommodate gallon jugs and bottles. 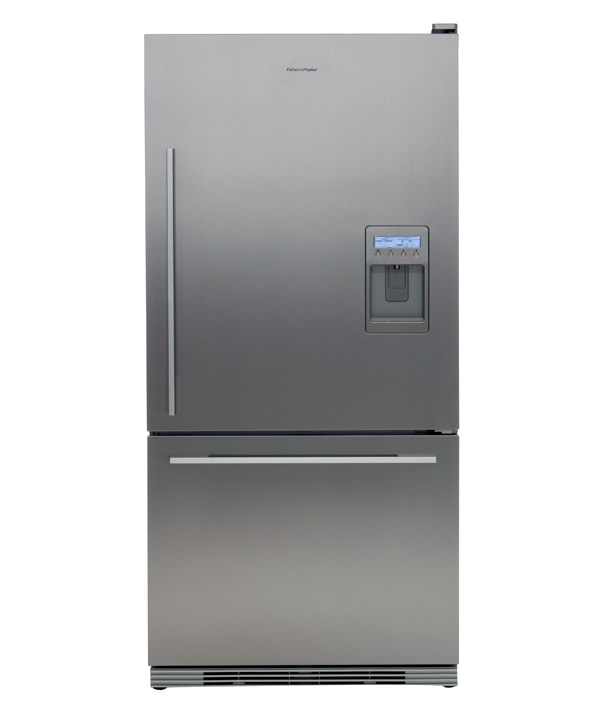 Fisher & Paykel keeps itself at the forefront of appliance innovation and the quest for ever-increasing standards of efficiency. 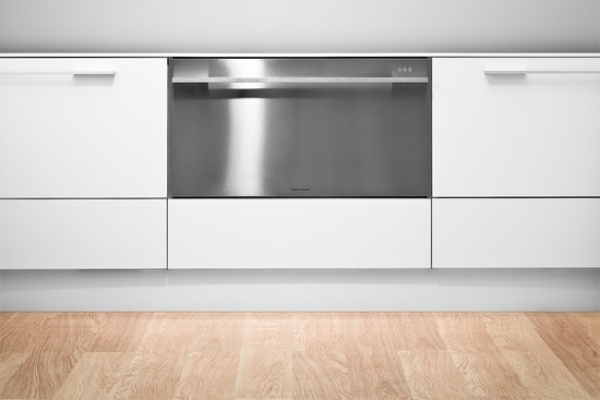 If you're in the market for new appliances, be sure to include Fisher & Paykel in the mix of brands you investigate. Good to see them still around. When I lived in NZ two years ago, they were having massive money problems and were laying people off left and right (the vaporization of AMerican spending power hurt). I heard someone mispronounce the name a few weeks ago at GE. It's Fisher and "PI-kel" with a long "i". Or if you're a native Kiwi, "Fush-ah and PI-kel." That is wonderful that they are doing other sizes. We had a hell of a time about two years ago getting a new fridge for an elderly relative. But my real question is this. French doors: Yay or nay? I've only had side by sides. Freezer on the bottom seems strange to me. I do know I hated having freezer on top back in college. I say ixnay on the enchfray oorsday, but that's just me. You have to be sure to have clearance for both doors to fully swing open or you're in trouble. You pretty much can't use them if they're placed against a wall. Freezer on the bottom actually makes more sense. 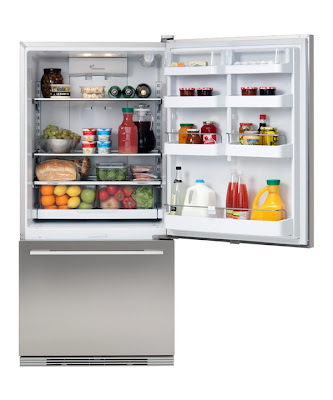 Most people spend more time in the fridge so placing the freezer at the bottom keeps you from having to stoop down to get something out of the fridge. Also, since cold air is heavier than warm air, placing the freezer at the bottom is a more efficient placement so far as energy use goes. That is one wide dishwasher. I haven't seen one that big in the states, but would sure like one. Well, now there's one available to you. 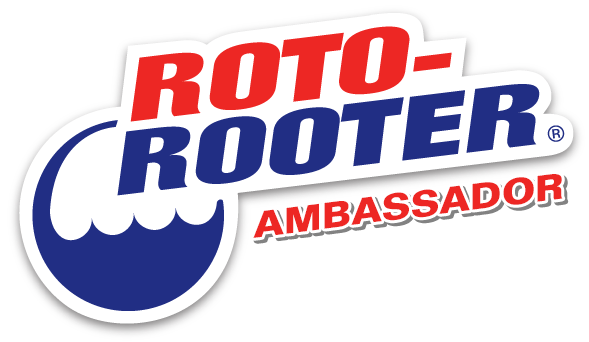 By the way, thanks for being such an active member of the K&RD community! f you are interested, kindly mail back at k5ino@bigstring.com, indicating your blog for reference, and I'll send you back pricing details, guidelines and processes. Looking forward to doing business with you. That dishwasher would be excellent for people with back problems, or people in wheelchairs! F&P are pretty popular here. I have a F&P washing machine on order (to replace the previous F&P washing machine) and we already have a F&P fridge. They usually score well in our consumer association's tests.